1. Ben Affleck in a photo session for men's magazine GQ - light grey suit combined with blue handkerchief, white shirt and black shoes. 2. We see the actor in beige suit combined with white shirt, grey shoes and black belt. He skipped the tie and he looks more casual. 3. The sequence of the grey suits continues - this time the suit is three piece, combined with dark blue and white shirt - stylish and formal outfit. 4. During the Golden Globe awards ceremony, we see Ben Affleck awesome, wearing a navy blue three piece suit with satin revers, white shirt and black shoes. 5. The actor knows how to catch the eyes - he chose to wear a black simple suit with white shirt and white handkerchief. 6. Ben Affleck wore a graffite grey three piece suit with olive green tie and the buttons of the jacket awe in the same shade. The outfit is enriched with light blue shirt. 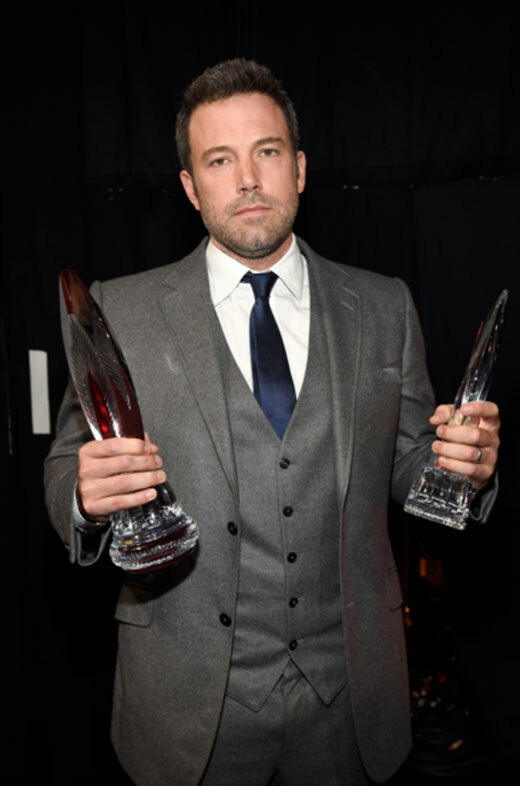 If you like Ben Affleck's style, support him in BGFN readers' voting for the Most Stylish Men 2015. Vote for Ben Affleck and win a made-to-measure men's suit jacket!